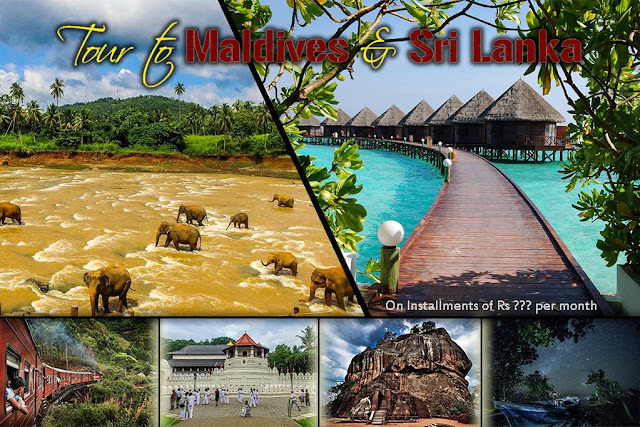 Inclusive all, air ticket, hotel accommodation on twin sharing basis, all meals as per itinerary, entry tickets as per itinerary. • Upon arrival at Hotel, check-in, and briefing about stay in Tokyo. • Dinner at outside Restaurant. Shinjuku Area: - Shinjuku is a central part of Tokyo, it is also known as a metropolis. This area is mainly surrounded by huge business, commercial and entertainment centers. Shinjuku is famous for world busiest railway station complex. * Miharu: - Miharu is one of the most beautiful and traditional areas on the northern side of Japan. Flowers are light pink and its branches spread from all direction. • Leisure time to explore the area. • Full day city tour with Japanese Assistant and experience Tokyo underground Metro. • Visit Tokyo Sky tree, Asakusa Area, and Shopping at Akhihabara. * Tokyo Sky Tree: - Tokyo Sky Tree is the tallest free standing tour at 634 meters. There are two observation decks, at 350m and 450m. You can see more stuff during daylight hours – at peak visibility, you can see up to 100km away, all the way to Mt Fuji – but it is at night that Tokyo appears truly beautiful. * Asakusa: - Asakusa is a part of Tokyo's downtown Taito district best known for its many temples, particularly Sensōji (it is Tokyo's largest Buddhist temple). * Akiabara: - Akiabara, commonly known as Akiba, is well-known as a world-leading electronic district. Akihabara is majorly famous for household electronic goods, video games and computer goods. • Full day excursion to Mount Fuji. • Take bullet train (Shinkansen) to Kyoto. • In the afternoon, city tour Kyoto by SIC. • Take a local train from Kyoto to Osaka. * Shinkansen: - The Shinkansen is also known as new trunk line) is a network of high-speed railway lines in Japan operated by five Japan Railways Group companies. The maximum operating speed is 320 km/h (200 mph). * Kyoto: - Kyoto is a city located in the central part of the island of Honshu, Japan. It is famous for Countless temples, shrines, and other historically priceless structures. 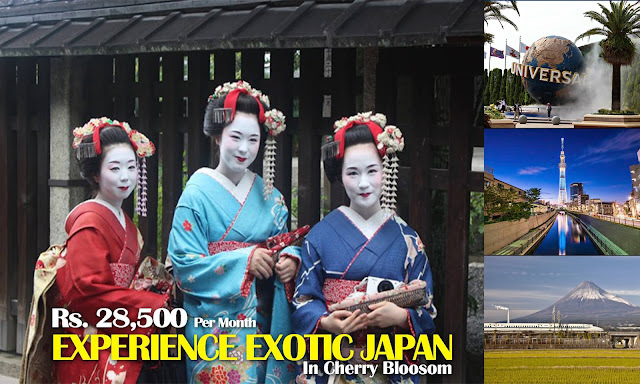 • Full day explore to Osaka city. * Kaiyukan: - Kaiyukan is one of Japan’s most spectacular aquariums, world-renowned for its innovative presentation. Kaiyukan shows the aquatic animals of the Pacific Rim at their most vibrant and dynamic, by recreating the natural environment of their habitats. At Kaiyukan there are over 15 large tanks, each recreating a specific region of the Pacific Rim, taking visitors on a virtual tour of the Pacific Ocean. * Universal Studio Japan: - Universal Studios Japan, is one of the four Universal Studios theme parks, owned and operated by USJ Co., Ltd. which is majority owned by NBC Universal. The park is similar to the Universal Orlando Resort since it also contains selected attractions from Universal Orlando Resort and Universal Studios Hollywood. MEET N TRANSFER TO HOTEL WITH ESG. EXCURSION TO SYANGBOCHE - 4HRS. EXCURSION TO KALAPATHAR - 3 TO 4 HRS. One hour Everest Flight takes off from Kathmandu Airport and flies east, where one can see magnificent mountains from a height of around 25,000 feet. It’s an hour of breathtaking scenic beauty of the Mighty Mountains. It is a sparkling clear journey across the world’s highest peaks, Mt. Everest, Kanchenjunga – 3rd highest, Lhoste, Makalu, Cho Oyu, to name just a few including the Tibetan plateau. All passengers will get window seat so that each & everyone can enjoy. Katmandu Durbar Square, historic palace listed as one of the eight Cultural World Heritage site by UNESCO, Kathmandu Durbar Square is a cluster of ancient temples, palaces, courtyards and streets that date back to the 12th and 18th centuries. The square is known to be the social, religious and urban focal point of the Capital City. Swayambunath is an ancient religious complex atop a hill in the Kathmandu Valley, west of Kathmandu city. It is also known as the Monkey temple. Swayambhunath occupies a central position, it is probably the most sacred among Buddhist Pilgrimage sites. Domestic air : KTM-LUA-KTM RT. With all airport taxes. Accompanying ESA during Kathmandu airport transfers . Accompanying English Speaking trek guide from Lukla to Lukla. Any expenses incurred beyond our control due to natural disaster, weather conditions, etc. Þ Above quotes include present applicable Service tax element. Þ Domestic airfare is subject to change if revised by airlines. Þ Kathmandu hotel 3nights based on BB plan & during trek on full board. • Meet the representative at airport and proceed for sightseeing of Ho Chi Minh City. • Meet the representative at airport and proceed for sightseeing of Hanoi. • Depart from Tuan Chau Island, meet the onboard team and receive the safety briefing. • Make the most of an extended Happy Hour at our Lan Ha bar (buy 1 get 1 free). Note: Cruise itinerary and schedule are subject to change due to weather, tide levels and operating conditions without prior notice. Confirm your booking with 1st installment from the month of August.